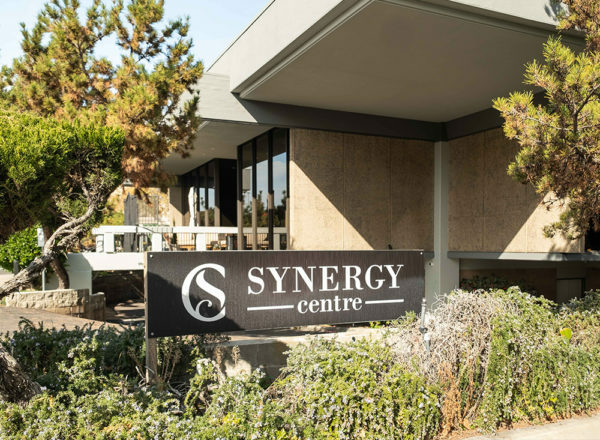 Synergy Centre CoWorks was created to continue the legacy of community service Bay Vista began 52 years ago. While its parent company Bay Vista, a 501c3, has focused on community based affordable housing throughout San Diego, Riverside and San Bernadino counties for the past ten years, Synergy’s cornerstone is to enrich the San Diego community by creating services and spaces designed to serve both housing and general business growth. Bay Vista relocated its corporate office and created Synergy in Northern San Diego County to access the vitality of Escondido, evidenced by over three dozen multifamily housing and residential home construction and commercial projects in various stages of renovation and development here. Synergy holds court at the corner of Valley Parkway and Escondido Blvd, in the heart of Escondido. The evenings are full of art at the California Center for the Performing Arts; and one block away on Grand Avenue in Downtown Escondido, you’ll find bubbling breweries, new eateries, coffeehouses, and live music at Vintana’s. The Crusin’ Grand events that take place throughout the summer bring together car enthusiasts who line the street with their vintage automobiles every Friday night.